Major changes have been happening at HostelManagement.com to make the site even better and more useful for the hostel community! We are very proud of the improvements and excited to share these changes with you. The search function has been greatly improved to make it easier to find the information you need when you need it. However, this feature is still under development and will continue to be improved even more in the near future. So the migration is still happening? Yes. Development of the new site has been in the works for well over a year, but the migration work is still in progress. We migrated as much of the old site as possible using computer migration scripts (about 70,000 posts, comments and user accounts). However, some things will take a bit more time and some things need to be migrated manually. As the migration proceeds, you may find something is missing one day and then it’s suddenly there the next. This is because our small virtually unpaid staff are busy migrating each remaining piece of content one at a time. 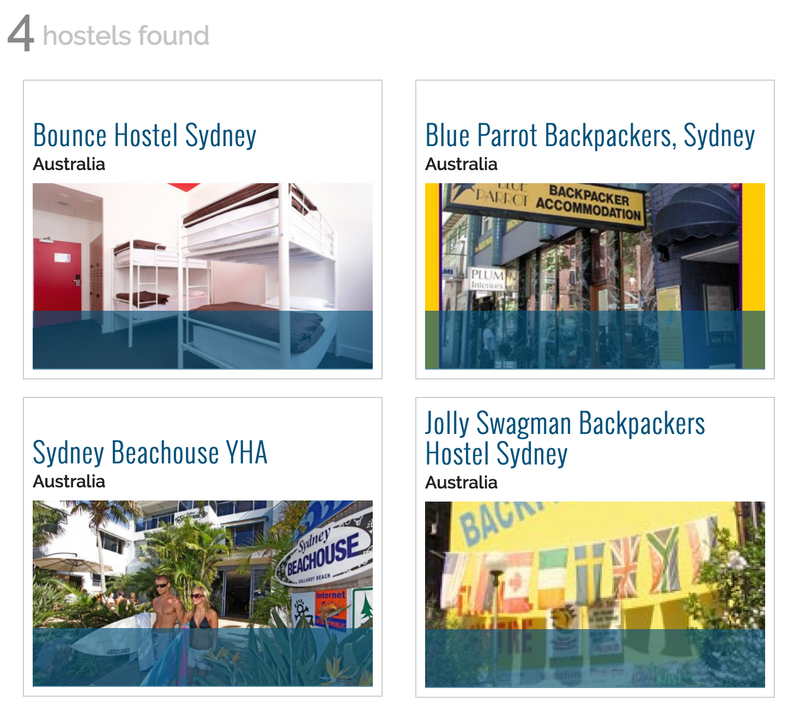 Slowly but surely you will see all the great hostel industry content from the old sites appear again in vivid color. There are a number of new features on the site now and there are a number of new features planned in the future. We can’t wait to share these with you too! The old HostelManagement.com and HostelJobs.net sites were great in their day, but they were old and way overdue for an upgrade. For example, some of you were surprised by all of the new industry specific articles in the magazine section. This content was actually on the old site as well, but it was practically hidden because the old site was visually and navigationally challenging for all but the most diehard of Hostel Management fans. Not so anymore! The new sites make finding great news, information, discussions, and job listings simple and straightforward. We have already received great feedback from a number of members, and we appreciate all of the encouragement! Among the many changes we have made, the ability to financially support the site has become more prominently displayed. Following this design change some members have expresses concern that Hostel Management has now become a “pay to play” service or that we are trying to cash in on the hostel community for our own profit. Rest assured, this is not the case. The ability to contribute financially to Hostel Management existed on the old site as well. Unfortunately due to the flawed design of the site it went virtually unnoticed by most members, regardless of how much they love the site and the service it provides. The new site design has made it much easier to provide your support and will remind you here and there if you have not yet done so. While it may not be immediately evident, maintaining a community website for over 23,000 people costs a considerable amount of money. There are significant costs for hosting and communications tools. Developers are constantly needed to keep the software up-to-date so the website is as secure as possible and hard for hackers to attack. 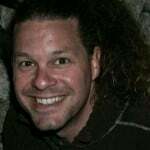 We also need team members to manage the community and keep the discussions productive and on track. 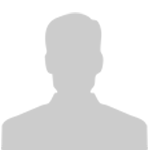 We even have two staff members whose primary job is to review every new member and every new forum post or comment to find and kick out the persistent spammers who constantly try to pawn Rolex watches and Viagra on the hostel community. They also do their best to hunt down the scammers who try to use the site as a platform for their own nefarious ways. In addition to the improved design, all of our membership tiers have become even more affordable than they were before. From the Industry Leader level (which by the way can be shared with the entire staff in your hostel!) to the Supporting level, the annual membership rates are now 50% lower that the previous amounts. A few members of our community have long contributed to keep Hostel Management up and running, and we truly appreciate their generous support! It is our hope that more members of the community will also contribute to this industry resource. That said, we will still do our very best to support all our members regardless of their ability to contribute. Please contact us if you have specific concerns. In the past, we had over 7,000 hostel workers on HostelJobs and over 16,000 HostelManagement members, but all too often those two groups of people remained disconnected. HostelJobs users would post they were looking for a job in one forum and hostel managers and owners would post they are looking for a worker in their own forums. There was a divide, and the two complementary needs would frequently remain unmet. We completely revamped this part of the site, and the result will benefit both sides of the equation. We turned dull forum posts into rich advertisements on HostelJobs so they are right in front of the workers and connected with your hostel (once we add this hostel linking). This way workers can check out your hostel directly from your job advertisement and your hostel will appear on the HostelJobs.net world map. Likewise, we moved the already amazing worker profiles to the front of the Hostel Management jobs board where they can actually be seen by hostel owners and managers. Everyone wins! There is more work planned for this section of the site including the ability to search for workers by skills and experience and geographic sorting according to the likelihood that a worker will be coming near your hostel. This new feature is available at the lowest level (Supporter $35 a year) and provides the ability to contact an unlimited number of workers and create multiple job posts (one at a time) throughout the year. We think this modest cost will eliminate virtually all of the fake job posts made by scammers and disreputable hostels, making this section even more valuable. Over time, all hostel for sale advertisements will be connected with a specific hostel. In the past, we would see fraudulent or suspicious advertisements asking for money upfront before the name of the hostel would be disclosed. We feel that these sorts of posts are a waste of the buyer’s time and run the risk of financially hurting someone who falls victim to a scam. By linking a specific hostel to the For Sale advertisement, it is our intent that proposed transactions will be more open and transparent for all. Selling a hostel can be a very lucrative prospect when the right buyers and sellers connect. 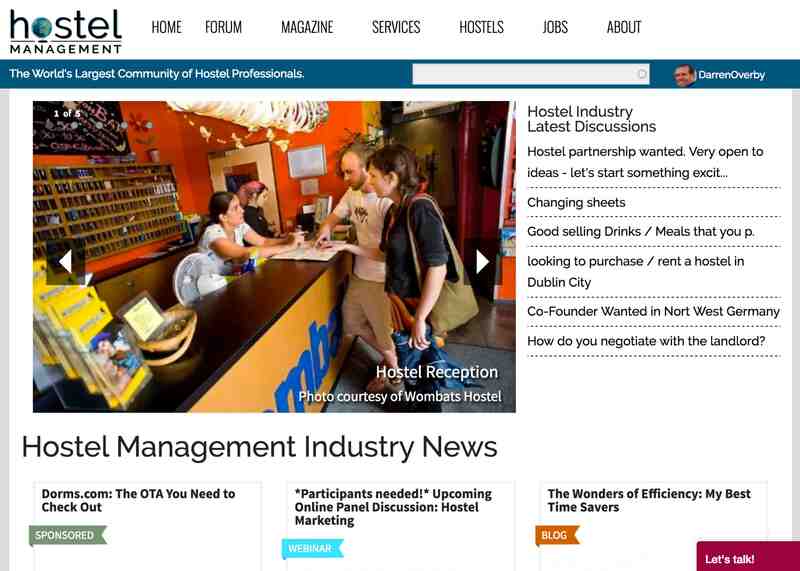 HostelManagement.com is the #1 site to reach a worldwide audience of qualified hostel buyers and the cost is likely nowhere near the cost of advertising in your local newspaper. We have set the membership level for hostel for sale advertising at the highest level (Industry Leader - $495 a year). We would love to hear your feedback on this policy. We have an audacious goal of creating the world’s largest database of ALL HOSTELS around the world, and we need your help. As we all know, online booking websites have dominated the hostel marketplace. They give travelers the false impression that they list every hostel or that they offer the best prices, neither of which are true. Many hostels, especially smaller, rural, and family operated business, are no longer listed on these websites at all because a 15-20% booking fee is not part of their business model or hostelling ethos. Other hostels wisely offer their best prices on their own websites without the burden of unnecessary OTA commissions. But it can be hard for travelers to find these options. We think it’s a huge problem if travelers can’t find all of the hostel options available to them in a given location. We also think it’s a problem that our industry doesn’t even have an accurate count of how many hostels even exist in the world. We want to change this, and we encourage you to visit the new OurHostels Database to ensure that your hostel is included too. Not only do we plan to mirror this data to a number of traveler facing websites in the near future, but we also plan to make this data feed freely available to any website under the condition that they always agree to list the direct website and contact information for all hostels. The ultimate goal is to create a complete listing of all the hostels in the world, along with their direct contact information. This is a big job but, with your support, we can do it! No, despite the way it looks right now. There are still some rough patches in the programming that make it seem like you have to be a supporting member in order to link your profile to a hostel listing, but that’s not the case. This is a glitch that our programmer is immediately working to change. We want every member of the hostel community to be able to tell the world about the wonderful hostels they run or have run in the past. We also want to be able to show who is connected with which hostel to give credit for the great work being done around the world. In fact, we want to enable everyone associated with your hostel business (current staff and alumni) to be able to show their affinity and support for your hostel. Until the bug is fixed, if you would like to link your profile to a hostel simply send us a message at via the Contact Us page and we will be happy to make the connection for you. Send us your thoughts and suggestions about these changes and other improvements that you would like to see. this looks awesome Brian! congratulations! looking forward to the new format. Thanks Maria! This has been a long time in the making, and we're all really excited about it.